When it came to protecting the skin from the harmful ultraviolet (UV) rays, the SPF, or the Sun Protection Factor, was regarded as the key determinant of efficacy of topical sunscreens. In 2012, FDA determined that products with SPF 50 were without sufficient safety data and mandated that SPF is expressed as 50+, “broad-spectrum≥ 370nm” to signify screening of 90% of UV wavelength rather than protecting against only UVB or UVA. Figure 3. IR-A’s effects on the dermis. Degrades protein structure and accelerates skin aging. Image. 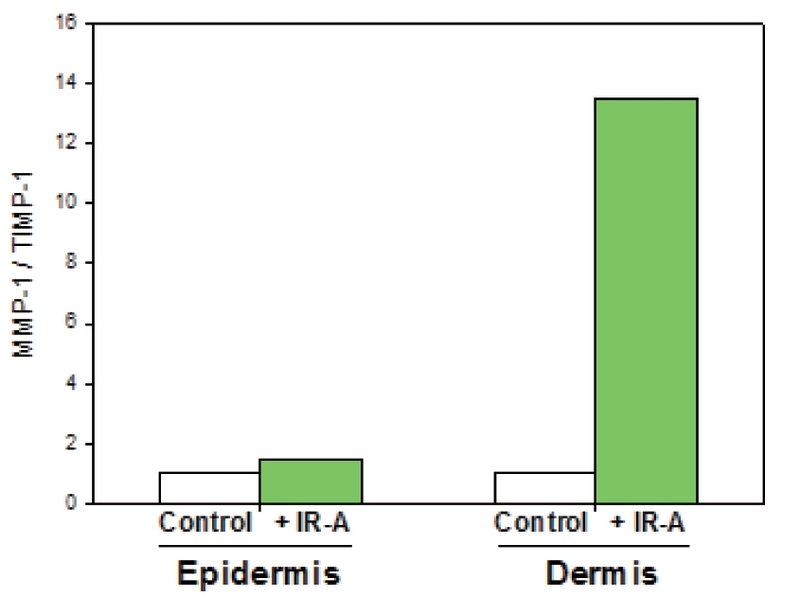 Expression of MMP-1 in the epidermis and dermis after IR-A and light exposure. Our skin is constantly exposed to UV rays during outdoor activity and also to infrared light and visual light. Therefore, a better sunscreen would protect the skin from not just UV rays but visual and infrared light as well. 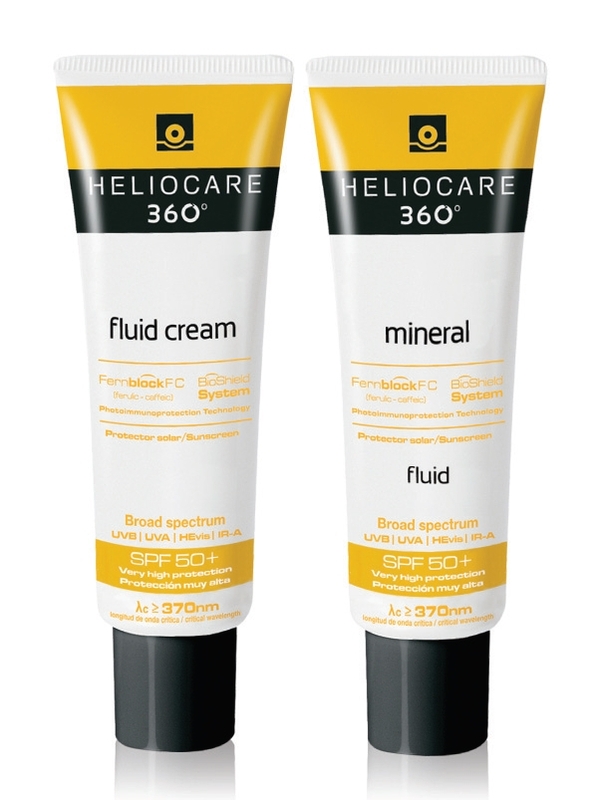 Heliocare 360 was developed based on the proven success of Heliocare SPF 90 by adding protection against visual and infrared light. Heliocare 360 uses the innovative “Bio-Booster Shield” technology and effectively shields the skin from visual light and infrared A.